“Extraordinary, unique, fun and inspiring” – this is how 14 year old Chantel describes the YMCA LSW Junior Leadership Programme. In the free two week summer programme, young people aged 13 to 16 develop their leadership skills and gain experience of working with younger children. Chantel was only 13 years old and among the youngest in the group when she took part last year. “On the first day I was really nervous”, she explains. “I was worried that all the other young people would be much older than me. Luckily, there were 3-4 others my age, and very soon, I relaxed and just enjoyed myself because everyone was just so friendly and the atmosphere was quite laidback. We all became friends instantly and actually, one of the people I met there is now one of my best friends”. When asked of her best memories from Junior Leaders, Chantel highlights working with the children and the end of programme celebration. “The celebration at the end of the two weeks was a definitive highlight, it just felt so amazing to think about everything we had achieved and the bonds of friendship we had formed”, says Chantel. “It just felt so nice celebrating our achievements together. Also, working with the children was an obvious highlight. The programme was structured so that we always started out with lessons in the morning and then the afternoons were spent out and about on different activities or trips with the children. As a part of the programme, the Junior Leaders receive training on many aspects of play work including; child protection, safe play practice, health and safety, working as a team and programme planning. “For instance, we were taught how to plan activities that were inclusive for children with disabilities, like visual impairment and how to assess risks when bringing the children to areas with lots of traffic”, Chantel says. “We got really great training for a career working with children and one of the things we did on the course was mock interviews for a position in Children’s Work”, Chantel explains. One of the challenges Chantel faced at Junior Leaders was working with people she didn’t know very well to plan an activity for the children. “We had to do everything ourselves; budget the cost, buy the material we needed, submit receipts, lay a plan for how to conduct the activity and make sure it was done according to plan. Also, we had a deadline it all had to be done by. It went well, though, and after it was over we were really pleased it went so well. 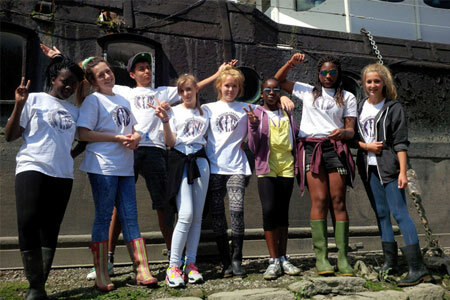 We really developed our team work and communication skills planning the activity”. Chantel is applying for a place on the programme again this year. “I hope we’ll go even more in depth on some of the topics and I hope to get even more responsibility this summer”, she says. “You don’t have to be settled on a career in Children’s work to apply for Junior Leaders. I’ve made good use of the skills I learnt at the course in everyday life. For instance, if you have siblings or if you do some babysitting, or if you are thinking of becoming a paramedic or a teacher, these skills are very valuable. Taking part in the programme also gives you a confidence boost, because you try new things and you realise you can do things you didn’t think you were able to do. I’d say the programme is suitable for anyone who loves children, who have a hospitable character and who are good at cooperating, with excellent communication skills”. 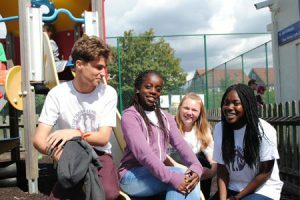 The Junior Leaders Programme runs in two batches from 27th July to 28th August and is based at YMCA Hawker (Lower Ham Road, Kingston, KT2 5BH).